Well it’s as simple as it sounds…Bend Beer Yoga is a yoga class that incorporates the drinking of beer (or in this case whatever floats your boat) whilst performing traditional beginner yoga poses and not taking life too seriously! Well it’s as simple as it sounds. 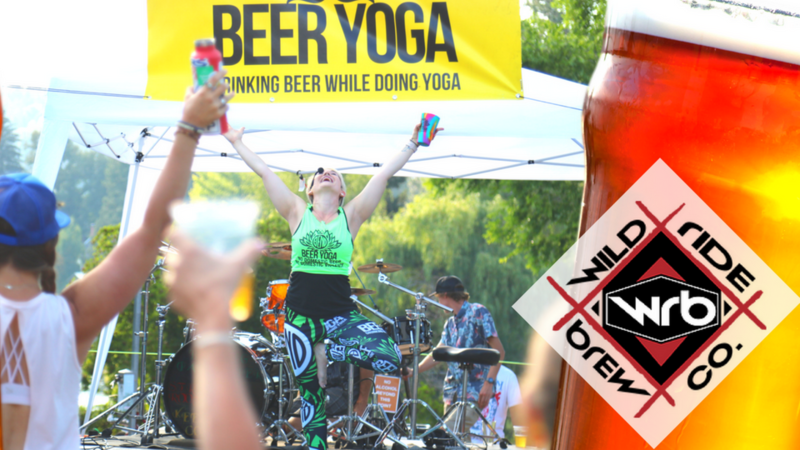 Bend Beer Yoga is a yoga class that incorporates the drinking of beer (or in this case whatever floats your boat) whilst performing traditional beginner yoga poses and not taking life too seriously! Wild Ride has a beer, wine, cider and non-alcoholic beverages for however you want to get down! Make sure to arrive at least 15 minutes early to purchase a beer or two of your choice to enjoy during class. Participants must be 21 years of age or over with a valid photo ID. Please bring your own yoga mat if you have one. Space is limited. Be sure to getyour tickets in advance to be a part of this beer drinkin’ good time!